TULSA, Okla. (AP) – The number of poultry operators in northeast Oklahoma is dropping, but the farms are raising more birds per facility. That’s according to public records provided to the Tulsa World , which requested 20 years of data on poultry operations from the Oklahoma Department of Agriculture Food and Forestry. The newspaper reports there are 609 active registered operations in eastern Oklahoma with a capacity to grow 58.8 million birds, an average of about 96,500 per operation. 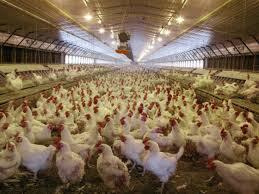 That’s down from a peak in 2002 of 1,096 farms with a capacity of 75.7 million birds, about 69,000 per farm.